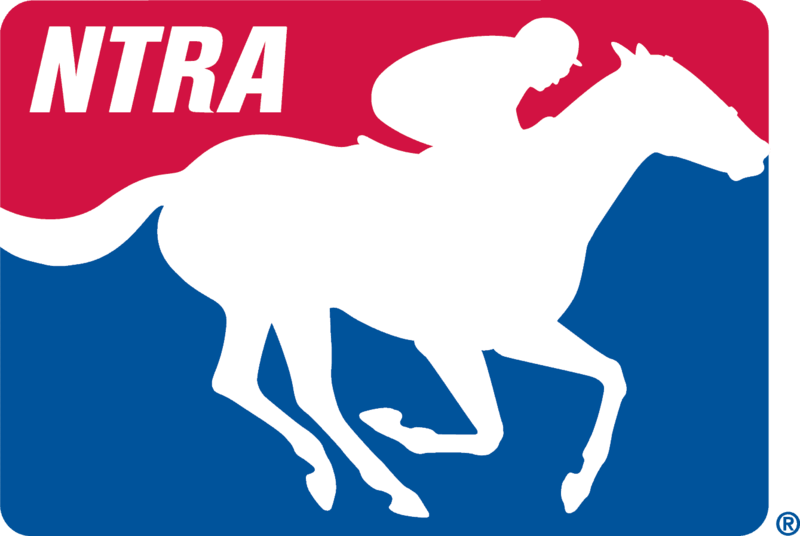 NTRA Communications National Media Teleconference for the Belmont Stakes. Jim Mulvihill: Thank you all members of the media for joining us today on our Annual Belmont Stakes Preview Call. We have a Triple Crown on the line this year of course and when that happens, we get a lot of interest in these calls, and the queue for questions gets a bit backed up. So, with our first guest today, we’re going to go straight to the media for your questions and we’ll do our best to get through as many of them as possible. I would appreciate if all of you would limit yourselves to one question and then, perhaps a follow-up only if absolutely necessary. Again, just trying to give as many of you a chance to ask a question as possible. So with that, I’d like to welcome in Bob Baffert. He’s the trainer of Kentucky Derby and Preakness Stakes Winner, American Pharoah, pointing for a Triple Crown try in the June 6 Belmont Stakes. As most of you know, Bob’s been in this position a few times before, most recently with War Emblem in 2002. Bob Baffert, you’re on with Jim Mulvihill in Lexington. Thanks for taking some time with us today. Bob Baffert: Oh, thanks for having me on. I’m here. Pat Forde: I’m just wondering how—I’m wondering how you balance your, you know, optimism and enthusiasm for this horse, this year, with your personal knowledge of how hard it is to win this race, especially for the—to win a Triple Crown? Bob Baffert: I think it’s—I really feel it’s a different vibe this year with this horse and it has been so long. I just feel like I’ve probably mellowed out a little bit more and so like, I know what I’m dealing with and what to expect. So, it makes it much easier, I think, to go through this and all my staff, we’ve been through it, so it’s like we just treat it like it would be a Breeders’ Cup or anything else. We just stick to the game plan; I map out a game plan, we try to stick to that and hope that there’s nothing—there’s no hiccups or anything. So, it’s basically, and we’re so busy. We have these horses—I’m back here in California and I’m trying to get these horses here ready to run, and find races for them and dealing with young horses that are coming in. I really don’t get a chance to really think about it too much. I mean if that was the only horse I had, I’d probably be climbing the walls, but I just—we have such a busy schedule that I really don’t a chance to really think about it. But, I do think about it. Pat Forde: Yes, right and a quick follow-up; do you have any problem with trainers who had horses who skipped the Preakness, pointing to the Belmont? Bob Baffert: No, not at all. I don’t blame them because you know, a horse like—when you win the Derby, a horse like American Pharoah, which he came in with so much praise and all and you know, deserving praise, so I think they feel like, well, we don’t know—if they don’t feel like they can handle them two weeks later, why not wait, freshen up a little bit, and basically, you know, catch him when he’s already pitched eight innings. So, maybe we can take a little bit of the fastball away from him, and get him—they know he’s really tough horse. So, I don’t really blame them for that. I mean that’s just part of the Triple Crown doesn’t bother me at all. Tom Pedulla: Billy Turner was on a conference call the other day; said he was very, very surprised that you’re coming in, you know, when you’re coming in. Is the departure from the past for you? I gather you’re coming in on Tuesday, to come in the week-of? Did your other horses all come in earlier? Could you talk about the decision why Tuesday of the week? Bob Baffert: Well, I really—I think every trainer has a certain comfort zone and that’s my comfort zone. Churchill Downs, I like that surface. American Pharoah really gets over that track really well, and our main concern is to keep him healthy and happy and so I know that sometimes in New York with a mile-and-a-half, the wet, the sandy, the coarse, sandy track. So, I’ve done it both ways. I had Paynter up there and I took Cavonnier up there and I take my other horses. Point Given, I did this with him, he went up there and won by 13 lengths in the gallop. So, I don’t really think it really makes a difference. I’ve had so much luck shipping out of Churchill Downs in New York and won numerous Grade 1 races and they never looked like they were tired. Every trainer has their own philosophy and their comfort level and I feel more confident doing that than if I was just up there just sitting around with them. Tom Pedulla: Just as a follow-up; I mean is there something to be said for getting the horse acclimated and used to that especially big oval? Bob Baffert: I’ve gone in there and won a lot of big races just off the plane there. It has the quarter poles in the same spot of any other racetrack so that’s basically, that’s the way we look at it. Art Wilson: Hey, Bob. I was curious since Affirmed in ’78, all these near-misses, was there any year that you as a trainer and also a fan of the sport, thought, boy, any particular year or two that stick out in your mind where you thought boy, this is the year it’s going to happen? This horse is really going to win the Triple Crown and then of course, came up short? Bob Baffert: Well, I think I’ve seen that a lot. I thought Silver Charm, I think he was in a position to do it and I think Chris McCarron probably rode the most brilliant Belmont when Free House took off after Silver Charm. He just let them go and he just sat back there and Gary, he thought—he didn’t know what was going on; he thought Touch Gold had just quit running, was done. So then he just decided to take Free House on and once he got, you know, he beat him, then here came McCarron, he waited, saved horse and rode just a tremendous race. So, I think it was Real Quiet. He ran a winning race. The horse came up—he was in front, before the wire, and he was in front the next step past the wire. So that was just bad luck right there. Real Quiet and Silver Charm, they could have easily been Triple Crown winners, and War Emblem’s the only one that I thought that he really—the racing was getting to him a little bit. He was a very light horse and he lost weight and when I bought him the month before he weighed like 980/970 and he got up to 1,040, and then he lost that weight and he just wasn’t really strong enough. He was one-dimensional and everybody—and there was good horses there. I mean (inaudible) was a good horse; he didn’t get a chance to run in the Derby. So there’s a lot of horses that maybe didn’t get a good run in the Derby; they come back but—look at Big Brown. Big Brown was going to win it. I mean, the quarter crack, that was it for him; once he got that back quarter crack, he was done. Smarty Jones, he ran a winning race, he just went really—they took him on early. That’s the thing, a lot of those jockeys—it’s not really a jockey moving early, is that everybody’s going to be taking you on and who do you go with or who do you let go? Like McCarron did, he just said he just rode his horse and hoped that they would get a little tired. So, it becomes a jockey race and now that you have more horses in the field, you’re going to get a lot of people making runs at you, you know you’re the target, and we understand that. So, it’s just one of those things where my job is to have him prepared so he can bring his A-game, because if he doesn’t bring his A-game then it doesn’t matter how Victor rides him; so he won’t have it, he’ll weaken or, you know, that’s when the races catch up with him and you don’t know until they’re actually in the race; we won’t know until he’s in the backside running, and Victor will know when he warms him up, whatever, what kind of horse he has underneath him and all that. So, that’s why all I do is try to keep him healthy and happy and so when the gate comes open, he has the power to continue on and give us that one last, you know, mile-and-a-half, which he’ll never see again in his life. Art Wilson: Right and my one follow-up; with the other three horses you brought to Belmont to try to sweep the Crown, did you learn anything? Have you changed anything up with Pharoah or are you doing pretty much the same preparation with him as you did the other three? Bob Baffert: Well, they’re all three different kinds of horses. Silver Charm, I had to deal more with him because he was a heavy and he was a really lazy horse. So, I had to deal a little bit more with him. Real Quiet, I didn’t really have to do much with him. He’s more like Pharoah where he’s easy to maintain, and Point Given, he was the same way; he was easy to maintain. So, the mile-and-a-half, they have to have the pedigree to do it. You can’t really, you know, train that into them, they have to have it. So, if he has it, we’ll know. If he’s great, he’ll get it done. Tim Wilkin: Hey, Bob, you said when you first got on that you have a different vibe this year. Does that mean you have confidence that he’s going to do it? Bob Baffert: Well, I have a lot of confidence in the horse and I feel I have a confidence in the preparation of it all and, but it’s still a week out and I’m basically like I explained to everybody, we have 10/11 days—we’re a celebrity for 10 more days and so, and then it’s over. So, we’ve been on this ridiculous fun high of enjoying the horse this whole trip, this is it’s boiled down to. I wanted to win the race for the Zayat family—the Derby. The second race was just to see if, you know, it was like to see if the horse could come back in two weeks and we thought he looked great, but you don’t know until they do it. Now, the third, I don’t look at it as it’s not about me or the Zayats or the jockey, it’s about the horse now. Is he that good of a horse to do it? So, I look at it now, as to me, I feel probably more pressure from—and it always happens to me—when I go up there, I start feeling pressure because I don’t want to let those fans down for some reason. I brought the horse, they’ve been (inaudible), they’re there, the excitement, the energy, but at the same time, I don’t want to—when we get beat, really—I feel worse for the fans because they want to see it happen. So that’s why it’s a different vibe for me now. When I go there, the people that are there, is this going to be the one? Like we go every year, is this the one? Every year, this is the one. So, hopefully, maybe this is the one; we don’t know. So far all indications show me that he’s doing well. We don’t know how the other horses are going to perform out there, so you know, we still need a little bit of racing left. Dan Wolken: Yes, Bob. You talked about the track; you described it as sort of a coarse, sandy track. Can you describe just maybe how it’s a little different than the other two Triple Crowns, just in terms of racing surface? Also, just sort of the surface, the track, how different it is? Does that psych people out going up to the Belmont, do you think? Bob Baffert: Well, I think the weather is so important on that track. If it’s windy and it’s dry, it becomes really deep and loose and tiring and horses don’t get over it very well. If it has a little moisture in it, it’s tight. I’ve always gone up to the Triple Crown; every time I’ve run there, it’s always been deep, you know, it’s loose and deep. So, when Secretariat ran, it was fast, and it was really fast and they smoked around there. I think there’s so many variables, I want a fair track, I hope it’s not a deep, loose, tiring track. There’s some days there that it’s ridiculously tiring and if it’s like that, it’s hard on the horses. You don’t want your horse to get really tired. Van Cushny: Yes, my question was asked and answered and it was about why you shipped back to Churchill instead of coming straight on to Belmont Park like Dallas Stewart did with Tale of Verve and I liked your answer that you’ve had success doing, you know, shipping in late in the past and that the quarter pole at Belmont is in the same spot as all the other racetracks. But, for the record, the three-eighths pole and the half-mile pole are not in the same spot as most other racetracks. So, I think that’s part of the point that the only living trainer of a Triple Crown winner was trying to make is that horses that train over the Belmont surface on a daily basis have an advantage over horses that ship in late. But, here’s the next question for you. Is American Pharoah still wearing the protective plate on the sole of his left front foot? Bob Baffert: Yes, as a matter of fact, I just really shod himyesterday and he’ll be wearing it. Van Cushny: Okay, but the foot looks good and you have no real concerns there? Bob Baffert: No concerns at all, it’s never really been. Tim Sullivan: Hi, Bob, this is a two-part question. One; typically, how long do you think it takes a three-year-old to bounce back between races? How much in your opinion does Lasix affect that equation? Bob Baffert: You know what? I don’t know. I read stuff that people do this research, but I don’t really know if I believe all the research. To me I don’t think it makes a big difference. I don’t really give that much Lasix, but I think what takes the weight off of them is the stress, the training, the preparation —races close together, it’s harder on them. But, the Lasix is not really an issue to me because we give them fluid and we replenish them with fluids after they run so really there’s nothing really lost. I do my own research, watch these horses and I don’t see a difference. I think some horses can handle running every two, three weeks better than others because of —the appetite is what takes the weight off. If they lose their appetite then you have a problem, but I never had a horse where I thought Lasix was going to affect their appetite or losing weight. They lose weight because they’re getting stressed out and it’s too much for them, they can’t handle that kind of—like, Dortmund, he lost weight, now he put it back on and he’s just a big-framed horse and some of those big-framed horses are a little bit harder than a horse like Pharoah, (inaudible), he doesn’t use much energy and a horse that uses up a lot of energy, it’s harder for them to bounce back after a race. So, he got really lucky, he used a lot of energy at the Derby; that’s the most tired he’s ever come back from a race. He was tired and yet he came back, bounced right back and ran huge in the Preakness. So he looks great now so it’s just the way he’s made; he just stops and he eats well and he keeps the weight on. Dana O’Neil: Bob, you spoke about what, you know, winning a Triple Crown would mean to the fans and attendance. What do you think it would mean for the sport in and of itself? Would it give it sort of a long-standing bump that it needs to get more popular again with the mainstream fan? Or would it only be temporary? Bob Baffert: I’m not sure. You know, I hear that question and I’ve been asked that question all the years I’ve been through it and I don’t think anybody knows. The last time it happened it was 37 years ago and we lived in this totally different world and now with social media and the way things get around now, —I remember when Secretariat won, I watched it; it was really exciting. Then I couldn’t wait to watch them run the next time and then he got beat by a horse called Onion and I remember, I was like, he got beat by a horse called Onion? It was like damn, I thought he was a super horse and I sort of didn’t follow him after that. So, I don’t know. I think a lot has to do with what he does in this next start. You know, I think they’d rather follow it up with something and I think with the coverage, that we get so much more coverage, like if Secretariat lived like today, it would be like, oh it would be just some—incredible. So I think that nobody knows the answer to that, so, first he has to do it, which is like, it’s not going to be easy, and I know we’re up against there and odds are against us. But, I think we won’t know that, the answer to that question until it happens. I think if it does, we’re going to have to—I think it’s going to be very important, that his next races are well thought of and I think people will really want to pick-up, the fans will want to watch him run and get a close look at him. I can tell that at Churchill Downs, the people, like the crowds just to watch him train are coming from all over the place just to see him gallop and train in the morning. So, he’s just starting to pick-up that—you know, people love to see—they’re thinking well maybe this is the one, the great horse, and they want to get close to him. I remember watching Cigar I was like a little kid watching Cigar when he came to Del Mar, I guess just watching him. I wanted to get a close-up of him. He’s gaining a lot of fans plus people don’t realize—and now with social media, that what a sweet horse he is, he’s a very kind horse, and he’s very lovable and kind. I think a lot of people want to see a horse like that. Make sure we all do the right by him, you know, because he’s a wonderful horse and he could be a once in a lifetime horse for me, I don’t know, but I’m just really enjoying it and that’s why I’ve been appreciating it so much because I never thought I would be going through this again. Because I know how fortunate I was and to be doing a fourth time, it was like the Lord —you know, I’m blessed with what’s happening here and that’s why it’s all about him now. It’s about this horse and Vic Espinoza understands it too. You know, it’s like we were prepared to lose the Preakness, we were prepared to lose the Belmont because now we just want to see what he can do. My job is to make sure that when I lead him up there that I want everybody to know that I’m leading him up there because I feels he’s doing great, he’s feeling great, he’s ready to do it, and if he wasn’t, I wouldn’t lead him up there because he’s been so good to us. So, so far what I’ve seen after his little breed and the way he came back, he’s putting on weight which is very rare, and so far, who knows, we’ll keep our fingers crossed that he’s really looking great right now. Danny Brewer: Hey, Bob, talk for a minute about the mental make-up of American Pharoah and why that makes him so great? Bob Baffert: He is a very, intelligent, smart horse, but he’s a little noise sensitive and that’s why we run him—why we put the cotton earplugs in his ears. You know, that’s why on the walk-over from the Derby with all the people running next to him, they really set him off; he didn’t like that. So he got a little hot on me going to the paddock, he was really, really getting hot. That’s not him. He did that his first out at Del Mar and so after that he cooled off and he ran well, even Victor noticed it when he turned for home in the Derby and Victor, —about the whipping situation, but the horse he wasn’t really tired, he just when he heard 170,000 people, the roar, he’s the favorite, he wasn’t tired, but he was hitting the brakes. He did it to him a little bit at Arkansas and he had to just nudge him a little bit because I told him, don’t have to win by a lot—it’s everything, don’t win by a lot. So, when he came for home, he said he came off the bridle, but he wasn’t tired, —that’s why he runs with his ears up, he’s listening. So he had to keep him busy, but during the Preakness with all the rain and stuff, he didn’t hear anything. Those earplugs were so wet he couldn’t hear a peep, you know. So he was focused the whole way, the noise factor it gets to him just a little bit. Danny Brewer: Bob, who’re you taking in the NBA Finals? Bob Baffert: Oh, I love the Golden State Warriors. Danny Brewer: There you go. Danny Brewer: All right, thank you. Steph Curry? Bob Baffert: Steph Curry, I love watching him play and I like—you know, it’s good to see LeBron James in there because I think he is great. You know, LeBron, we all want to see great and this is—to me, LeBron’s up against it, but he’s such a great player that this is going to, you know, he’s like—it’s like watching a—like Steph Curry and LeBron, is like watching like American Pharoah, there’s something, they’re just different than the rest. So that’s why we enjoy watching them. Liz O’Connell: Hi. Thank you for taking the time to talk to us. I’ve a question about the left front shoe. If he has a special shoe there, what’s he got on his right front foot? Bob Baffert: He has just a plain shoe on his right front foot. Liz O’Connell: Okay, good and what are the plans after? Are you going to take him back to California? You going to have him over here on the East Coast this summer or what’s going on there? Bob Baffert: Well, the plan is to as long as he’s healthy he’s going to continue to run the rest of the year. So, I haven’t really, mapped anything out, but after the race he’ll go back to Churchill Downs for a few weeks and then he’ll come back to California. Richard Rosenblatt: Hi Bob. Could you just talk about—you’ve talked about this before. What kind of a person Mr. Zayat is and you know, a little bit more of his personality since you guys get to talk a lot and probably see each other a heck of a lot? Bob Baffert: First of all, I can say is he’s a great family man with his family and his kids; they do so many things together. When it comes to business, he’s a very emotional, very hyper, very hyper guy, y—as you can see watching him, I mean he’s funny, —he’s fun to win with because they just get so excited, him and Justin and his wife. We have a lot of mutual respect for each other, he really respects what I tell him, he knows I’m going to be upfront with him about the horse. He’s good about it. He’s never told me that you need to push the horse or nothing, if they need time off, give them the time off whatever. He just lets me train the horses, and then we’ll sit down, we’ll figure out a game plan, you know, I was thinking of this and that and he’ll adjust it (inaudible) race plan, so a typical game plan but, you know,—it’s been a really fun—he’s a lot of fun really. At the end of the day, he’s a business man and he’s done really pretty amazing what he’s done with these horses that he’s bred and the stallions and the stallion deals. At the end of the day, he has to sell these horses, he has to churn the money because otherwise you just can’t—you have to sell in order to stay with it. Bob Lewis is that way; he’d sell everything and he’d put it right back, he’d put it right back in the circle—to keep it—he loves the sport, he has a passion. The thing is that the great owners are the ones that have passion for it. He wants to continue on. He’s thinking he wants to—next year, he wants to hit the Derby. Here’s the guy that ran three seconds in the Derby and now he’s going for the Triple—I mean it’s unheard of and he raised this horse himself and Pioneerof the Nile, who he had so it was like Bodemeister, Paynter; all these good horses that he’s had. Eskendereya, he could have easily won the Kentucky Derby with him; had bad luck, and when he has bad luck, he takes it well. You know, he just says, what can you do? That’s what he always says, what can you do? That’s his—what can you do, okay? But he’s a very passionate—but he’s a very hyper, emotional man that—and he’s easy to set off, you know, so but I’ve always—I’ve, you know, we all have a side to us that we’re probably not—I have a side to me, I go off on people, but I’ve never seen it from him. He’s really been good to me and my family. He’s very generous with everybody, with the barn, and everything. He’s just a really class act with me and my family and my staff and everything. So, it’s just like—it’s been a very enjoyable, enjoyable spring with him because it’s actually when—I never (phon) once raced for him—when we win, we see each other, I know he’s going to come lay a big old kiss on me, you know, we’re jumping up and down. But he’s just so passionate, his emotion for the sport. He’s no different than my little 10-year old Bode, the passion that he showed jumping up after the Derby, he was—Bode he was excited to see—he was happy for me. That’s why he ran to me, he was so happy for me to win the Derby and so, he was so happy to win the Derby. That’s why we get into this business is to win, you want to win the big races, but if you can win the Kentucky Derby, that’s the biggest one of all of them. So, now he’s just enjoying the ride and he’s never been a problem with me. Richard Rosenblatt: Oh, good. Bob, one quick follow-up, and obviously, he likes to bet a dollar or two. I was just wondering what your thoughts are about what’s happened let’s just say in the last couple of weeks, where some of these stories have been surfacing of things that happened a couple of years ago and some of these things where—as you said, he’s very emotional and reacts to these. I’m just wondering, you know, if you had any conversation with him or just thoughts about all those things that are kind of surrounding this Triple Crown build-up? Bob Baffert: Well, unfortunately it’s too bad that, you know, these stories—I’ve gone through it. I went through it with—I remember Real Quiet, there’s always a couple writers out there that—I mean they were making fun of Mike Pegram because he made a statement that he used to—drive from Princeton, Indiana to Churchill Downs. They asked him how far is it and he said, oh, about six beers and when we came here, Real Quiet doesn’t deserve to win the Triple Crown with these owners like that, that talk about six beers. He’s not like—you have to be some kind of Blue Blood to win these races, you know. You have to expect there’s always somebody out there that has to bring some kind of a negative scandal and it’s not a secret that Mr. Zayat ikes to bet. A lot of people and everybody I know gambles except Kaleem Shah. He’s the only one that I know that I trained for that never had put $1 to pick because that’s the way he thinks. But when he buys a horse, he’s gambling. We’re constantly gambling. So when you’re gambling, there’s always somebody out there and the gambling world can be a little bit, you know, I won’t say seedy, but it’s such a beautiful moment and that somebody would go out of their way just to tear the man down. I haven’t talked to him about it, but I know it’s one of those things where it just takes—they’re trying to take away—it’s basically jealousy. They’re trying to take away from the man’s passion, happiness, and it’s not fair to do something like that because it’s hard to raise a horse, to go through all this, and he’s been great with everybody. But it’s a shame that every business there’s always a couple of bad apples trying to stir something up that’s really not there. It’s too bad it’s happened. Richard Rosenblatt: Thank you Bob. Good luck next week. Jim Chairusmi: Hey Bob. In recent years, a larger number of horses have run in at least one Triple Crown race especially with the 20-horse Derby field, but it looks like Pharoah is going to be the only one running in all three. You mentioned it’s like he’s pitched eight innings already. Is that why we’ve seen all these horses come up short in the Belmont? Bob Baffert: Yes, I think a lot of it is just—I think a lot of it is just racing luck, you know, pace . Pace has so much to do with it and when I went through with Silver Charm, all of his races, he was running—it was with Captain Bodgit, Free House; they were duking it out. Every race it was a—it was like Ali/Frazer; it was tough and he came back in the Preakness. There were Touch Gold, he stumbled badly, came up—he could’ve won the Preakness. They battled, so every race was like really a tough—and by the time they got to the third one, there were still those three horses still battling. It wears on them a little bit, like a fighter, you know, you just get up in those later rounds—it’s tough on them. So, and some horses don’t respond and actually Silver Charm, he ran a great race. He ran his race and just got beat by Touch Gold and Real Quiet, he was battling the Victory Gallop the whole way, and finally, eventually, they’re going to turn the tables on you. Victory Gallop turned out to be a very good horse. So you really don’t know until down the road what Victory Gallop turned out to be, you know, he won a lot of big races. Maybe he could have won the Kentucky Derby. He had a rough trip and so a lot of horses, you know, like Empire Maker, he didn’t win the Derby. Point Given and they win the Belmont so, you know, sometimes there’s that one horse maybe didn’t get a chance to run in the Derby, they’ll get a chance. The thing about Pharoah is he’s a little bit, he just seems to—the way he moves is—I’ve never had a horse that moves or travels over the ground like he does. I’ve been really fortunate to have some really good horse, but I never had one that moves like him. That’s his biggest weapon, he’s fast, he’s—you know, when you see a horse like that, you can just forget having—just throw it out because he is—there’s something in there that just makes him so different than the other horses. So, and so that’s what really we have in our favor and my job is just don’t get in his way, just keep him moving forward, keep him happy, don’t underdo it, don’t overdo it, and so there’s that fine line where I have to keep him. So constantly we just monitor him and so far we’ve just been really—other than the Breeders’ Cup, we had that little issue with him, and really then we had the foot issue. But really that wasn’t too big of a deal and I put that protective plate on there just in case and I don’t want to take it off because he’s moving so well with it that it’s one of those things where he needs a break, he needs to break cleanly, you know, get into his own groove. Bob Baffert: That was it. I’m going to breeze him one more time. I need to fly there, everything’s got to go smooth on the flight, in the van ride, everything’s got to be smooth. The Derby was across the river, that’s the number one, and we got out of there lucky. I’m telling you, that Derby was not his A-game and so we got through that, then we got over the Preakness with all the rain and all, he handled that like that was not a problem for him. So, come back, work really well. I love the way he went the other day, but we don’t know the mile-and-a-half, we don’t know. Everybody else is in the same boat with us. We don’t know how far this horse is going to want to go. But, that’s what this test is all about. Jim Mulvihill: All right, great stuff Bob. I just want to thank you for all the time you’ve given to us all this spring, not just on these calls, but in the mornings and every other request you’ve gotten, I know everybody here is very appreciative of that. So, we thank you and wish you luck in the Belmont. Bob Baffert: Thank you and yes, I just feel like I owe it to a lot of these media and the fans have gone year-after-year hoping this is it. I’m like everybody else watching; I’m part trainer, but part fan. I’m just hoping to see what he can do in the next—I’m getting excited just thinking about it, but I hope maybe he is the horse, but to me, I’ll be watching. When they go in the gate, I’ll be watching. I’m not watching it as a trainer, I’m watching as a fan. Jim Mulvihill: Excellent. Well, we’ll all be hoping there right alongside you. So, thanks again for the time. Bob Baffert: All right. Thank you. Jim Mulvihill: All right, that’s Bob Baffert with a lot of great stuff for us today and now we’ll move on. As everybody on this call knows, anytime there’s a potential Triple Crown hero, those horses get the bulk of the attention leading up to the Belmont, but time and again, over the past 37 years, it’s been someone else that wins the race, from Coastal in 1979, to Tonalist a year ago, and so we’ve got to talk to these other trainers, as well. Jim Mulvihill: e’Wve got Kiaran then, that’s just as well. Well, Kiaran, thanks for joining us. We’re really appreciative of your time today, as well. We’ll get Dallas Stewart on here in a little bit, but we’re glad to have Kiaran with us. Kiaran, I should mention, won the Belmont once before in 2006 and that incidentally was with a horse who finished fourth in the Derby just like Frosted did. So, Kiaran, maybe you can just tell us about the last few weeks with Frosted and maybe the decision to skip the Preakness and point to the Belmont. Tell us about the thinking there. Kiaran McLaughlin: Well, Frosted ran very well in the Derby. He ran his race; he just wasn’t good enough to win. American Pharoah was the best any way you look at it. But we ran our race and he has trained very well since then and that there we wanted to wait and make sure he was doing great before we announced we were going to the Belmont. But, he’s doing very well. He had a half in 47.3 and worked last week a 1:01 and one or two (phon) and we’re planning on working tomorrow. But he couldn’t be doing better. Jim Mulvihill: Tell us about—tell us more about these works? I mean, the one the other day I was able to watch that video, thanks to NARA. Just tell us how that went and what you were hoping to get out of that and what you need to do with the horse leading up to this race? Kiaran McLaughlin: He’s very fit and we’re just basically maintenance work to work with the Godolphin Mile winner from Dubai that we’re happy to have going for the Met Mile, to Marquez (phon); he’s won his last four. So they work together, five-eighths, they work great together and we’ll work tomorrow a half out five-eighths. We haven’t decided whether it’ll be with company or not; we’ll make that decision in the morning, but he’s doing very well and ran super in the Derby and we just hope things go well next Saturday. Jim Mulvihill: Very good and Kiaran, you’re based at Belmont. In regards to American Pharoah trying to get the Triple Crown, there’s been a lot of talk about whether he should have a work-over the Belmont racetrack and you’ve won at Belmont and you stable up there. So I’m wondering if we could just get your impressions, not necessarily how you would train someone else’s horse, but just talking in general about the surface at Belmont and the importance of training over the track, in your opinion? Kiaran McLaughlin: I don’t think it matters for American Pharoah. He’s a very, very nice horse. He could probably run down a street very well over broken glass or over Belmont Park; I don’t think he needs his racetrack and I don’t think working over is going to make him like it or any more than if he doesn’t like it, but I don’t think it’s a factor if horses dislike, it’s more the distance and the race shape that’s interesting and always different because no one’s run a mile-and-a-half. You don’t know if you really want the mile-and-a-half, any of us. So I don’t think it’s a negative or a positive for us being here. We don’t have to walk very far to go to the paddock, to the starting gate. We’ve very close to the paddock and Barn 11 at Belmont, but still I don’t think that the horses need to work over the track, no. Jim Mulvihill: Very good. Well, Kiaran, I’m going to turn it over to our Operator, Nick, and he will see what questions the media have for you. Jennie Rees: Hey Kiaran, this horse earlier in his career actually has a fair amount of speed and amongst all the things that you changed for the Wood Memorial was his running style. Looks like the Belmont, where a lot of horses that are successful on it are not that far back. I mean, what are sort of the plans? I mean not to give out state secrets, but are you have to maybe change/adjust his style do you think for this race? Kiaran McLaughlin: I think the race (inaudible) and the pace will change our style a little bit in that we will be closer, quite a bit closer. Joel won the Belmont last year and he knows the horse well. So, we’ll leave it up to him. I wouldn’t be surprised if we’re still seventh, eighth or ninth around the first turn down the backside, but I think that we’ll be a lot closer than we were in the Derby because we won’t be 15 lengths back unless someone goes 45 or 46 for the half, and I don’t anticipate that. So, I think we will be closer and hopefully not so wide as we were in the Derby and hopefully, we’ll work out a good trip. Jennie Rees: I mean this is maybe sort of obvious that you said, that articulating these things, what are the challenges with American Pharoah, with his style, with what he has shown in trying to beat him? Is there anything you can do to sort of adjust your horse to that or not? Kiaran McLaughlin: No. I don’t think we will change anything, as I doubt Bob will change anything; he’s a great trainer with a great horse. But, we will just hope that we relish the distance and the track more than he does on the day or have a better trip and just fresh, it’s been five weeks in-between. You just don’t know, but we’re not going to change anything and hope things go our way on the day. Jennie Rees: Just a final question. In the Derby, again, he was like 14th early and stuff and had to, you know, come wide and everything. What are you thinking watching that race when you see where the first three horses started and where they finished, thinking gee, yes, wish we can (phon) changed his style so much? Kiaran McLaughlin: No, not really. I think we ran our race. It’s more if Materiality breaks sharp and goes to the lead, everything could’ve changed, and you know, the Derby, the Derby was 18 runners, you know you’re going to have some issues in the running of the race whether you don’t break sharp or you get hung up wide or get in tight. So, we ran our race. We were second best and finished fourth so hopefully we can turn the table in the Belmont. Jennie Rees: But just a follow-up on that; you think you had the second best horse in the race? Kiaran McLaughlin: Yes, we had the second best horse, in my opinion. It was just circumstances we were fourth, and we ran further than everybody else except the winner. We ran a huge race on all figures and hopefully we can repeat that. Art Wilson: Yes, Kiaran, I was curious of the 13 near-misses since Affirmed in ’78. Any years in your mind stand out where you thought this is really going to be the year and you were surprised that the horse didn’t win the Triple Crown? Kiaran McLaughlin: Many of them probably. Almost every one of them felt like when they won the Derby and the Preakness, that they would be able to handle the Belmont. It’s Funny Cide, Smarty Jones, you know, Real Quiet, so many of them that you’re going in and most of the time I was there, excited, hoping to see a Triple Crown. But, that’s tough, the Triple Crown is very hard and a tough test on three-year-olds and the mile-and-a-half is always tough. Like I said, with race shape and just going a mile-and-a-half. So this year’s no different. American Pharoah looks like he’ll be even money, he should be even money, and it looks like he’s going to take a lot of beating so we just have to hope that everything goes well for us and we run our A+ race and maybe he runs a B race. You know, you just don’t know, but he looks very similar to several other horses. Art Wilson: There’s been some debate on that maybe the Triple Crown has become too difficult and that there ought to be maybe some changes made in the series whether it be the spacing of the races or so forth. What’s your opinion on that? Do you think there should be some changes or do you think they should leave it the way it is? Kiaran McLaughlin: It’s a tough one. I would be fine if they changed it and I’m fine leaving it like it is. I really don’t have a strong opinion in tradition, in leaving it. It is very hard. We don’t usually even work our horses back until two weeks after they run so that therefore we pass the Preakness and obviously, if we won the Derby we would’ve run in the Preakness hoping to be a Triple Crown horse. But it is a tough call in this day and age, we run less and we space our races more, but I don’t know if you can change it, and I don’t really have a strong opinion either way. Tim Wilkin: Hey Kiaran, does any part of you hope American Pharoah wins the Triple Crown if you can’t win it? Kiaran McLaughlin: If I can’t win it, yes. Yes, it’d be great to see a Triple Crown winner. If we can’t win it, obviously, it’ll be nice to be there and be present in it, in a year of a Triple Crown winner. So, yes, if we don’t win it, I hope he wins it. Tim Wilkin: How tough is he going to be to beat do you think? Tim Wilkin: American Pharoah shows up. Kiaran McLaughlin: Yes, if he looks like his last three races that he’s won, then he’s the horse that can win. So we just—it’s going to be very tough on all of the rest of us in the race, but we like our chances. We couldn’t be doing better and like I said, I think we were second best in the Derby. We have five weeks now, so you know, he’s an exceptional horse, American Pharoah, so we have to just kind of get lucky on the day and relish the distance more than him. Dan Wolken: Yes, Kiaran, I mean you just have so much experience with that Belmont track. What makes it different from others? Either surface or just the layout? Do you think that people go up to the Belmont and maybe psych themselves out a little bit on sort of the big turns and stuff like that? Kiaran McLaughlin: It is a totally different race and all the jockeys have experience here now and sometimes it’s the first time they’ve run in a big race. Some of the jockeys in the past when they come to Belmont, you know, that’s something you’re at the half-mile pole—you’re going into the turn at the half-mile pole instead of the three-eighths pole on most tracks. It is a different run race in a mile-and-a-half racetrack and we don’t even run that many mile-and-a-halfs at Belmont during the year. So, there’s maybe one race, the Brooklyn, and it runs the day before or on the day. So it’s not a race that the jockeys are familiar with that much. It’s a different distance altogether. The surface I don’t think is one that a lot of horses dislike, so I don’t think that’s an issue. It’s more the distance and the race shape because everybody’s bunched up more going a mile-and-a-half. It seems like everybody’s within 10 lengths; they’re not spread out. So it is different and it’s tough but by—the most difficult thing is three races in five weeks. Jim Mulvihill: All right, Kiaran, I’m just going to say thank you for your time today and we wish you luck next week in the Belmont. Thanks for joining us here once again on these calls. Kiaran McLaughlin: Thanks for having me. Jim Mulvihill: All right, you got it. Kiaran McLaughlin, everybody. He’ll have Frosted in the Belmont next Saturday and now I’m sorry to pass along that we were not able to connect with Dallas Stewart. He was our other scheduled guest for this call and we’ve not been able to connect with Dallas. He’s a frequent guest on these calls. We had him on this same call last year when he was going into the Belmont. So don’t hold it against him. Dallas has been great to us over the years and if any of you were specifically interested in asking Dallas questions, just let me know and I can help to put you in touch with him directly. I’m sure he’d be happy to talk to anybody on the phone over the next week or so. So with that, we’re done with our guests. Let me just remind everybody about the broadcast schedule for the Belmont Stakes. The NBC Sports Group is going to have 7.5 hours of coverage and that includes the two hours on the flagship NBC Network covering the actual Belmont Stakes. That’s 5:00 to 7:00 pm, next Saturday June 6 on NBC. The rest of their coverage will be on the NBC Sports Network. Also, the Horseracing Radio Network will be at Belmont for five hours of live coverage on Belmont Stakes Day. That goes from 2:00 to 7:00 pm Eastern Time, and that is on Sirius 93 and XM 208 on Satellite Radio. So, this is our last teleconference of the spring. Our last Road to the Triple Crown teleconference. We’ll be back in a few months with our Road to the Breeders’ Cup teleconferences, but I want to thank Joan Lawrence for lining up these guests week-in and week-out, and if you need any help with your Belmont coverage, just talk to myself or Joan. She’ll be up at Belmont starting this weekend and I’ll get there a few days later. We look forward to seeing you in New York.